The Virginia-based company issued a statement this week confirming that the first commercial payload to ride on the Angara 1.2 will be the KOMPSAT-6 multi-purpose satellite developed by the Korea Aerospace Research Institute (KARI). The launch will take place from the Plesetsk Cosmodrome in Russia around 2020, aiming for a Sun-Synchronous Orbit. ILS officially placed the Angara 1.2 booster on the commercial launch market in 2015, covering medium-lift missions to Low Earth Orbit – new ground for the company that has specialized in high-energy Geostationary Transfer Orbit deliveries on the heavy-lift Proton from the Baikonur Cosmodrome. “The selection of the ILS Angara 1.2 vehicle for the launch of KOMPSAT-6 was carefully considered for performance, heritage, price and schedule assurance. We have the utmost confidence in ILS, Khrunichev and the Angara launch vehicle and look forward to our continued cooperation in space activities with ILS and Khrunichev with the KOMPSAT-6 launch,” said Dr. Gwang-Rae Cho, President of KARI. According to ILS, the company won the contract after a strong competition of commercial launch service providers. KOMPSAT-6, with a separated mass of 1.7 metric tons, will be outfitted with a Synthetic Aperture Radar (SAR) capable of collecting all-day, all-weather imagery of the ground at sub-meter resolution. It is a follow-on to KOMPSAT-5 launched in 2013 and expected to operate until at least 2018. Angara represents a family of launch vehicles covering the entire spectrum of missions from light-lift launches to Low Earth Orbit to heavy-lift applications for Geostationary Missions. Eventually, the Khrunichev-built Angara will also lift humans into space aboard Russia’s Federatsiya Next-Generation Crew Vehicle. The 1.2 version of Angara flew for the first time in July 2014 and uses a Universal Rocket Module, common across the Angara family, topped by a modified Block I stage adopted from the Soyuz rocket. It can lift payloads of up to 3.5 metric tons into Low Earth Orbit. The heavy-lift Angara A5 uses a cluster of five Universal Rocket Modules, four of which serve as boosters while the central URM functions as both Stage 1 and 2 – similar to Soyuz with its four liquid-fueled boosters and Core Stage. Sitting atop is a variation of the Block I known as URM-2 featuring wider tanks and a modified engine. Angara A5 is topped by the Briz-M stage currently in use by Proton until development of a high-performance cryogenic upper stage can be completed. 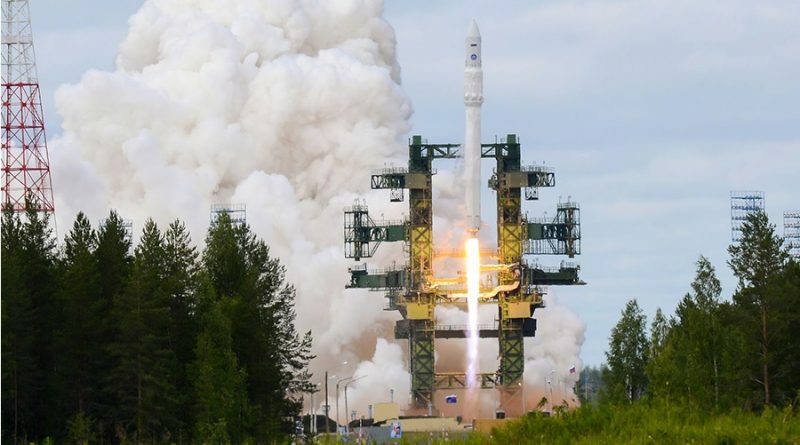 Angara A5 flew for the first time in late 2014 and will start operation from the Plesetsk Cosmodrome in the coming years before a second launch site is established at the Vostochny Cosmodrome in Russia’s far east early in the next decade. Other Angara versions such as Angara A3 for intermediate-sized payloads and a conceptualized super-heavy Angara A7 are currently on paper to be realized if and when the need for them arises. 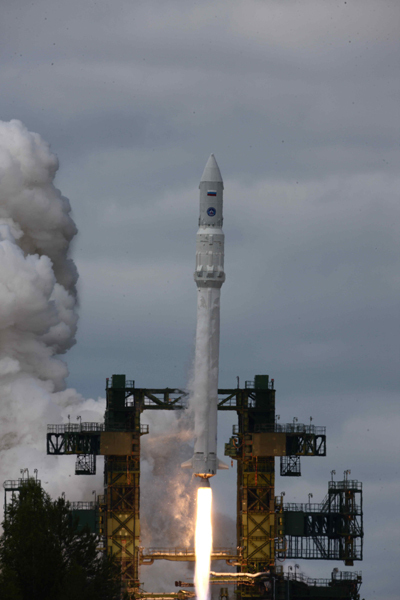 Angara 1.2 will replace Russia’s Rockot booster that uses a finite supply of converted ballistic missiles. 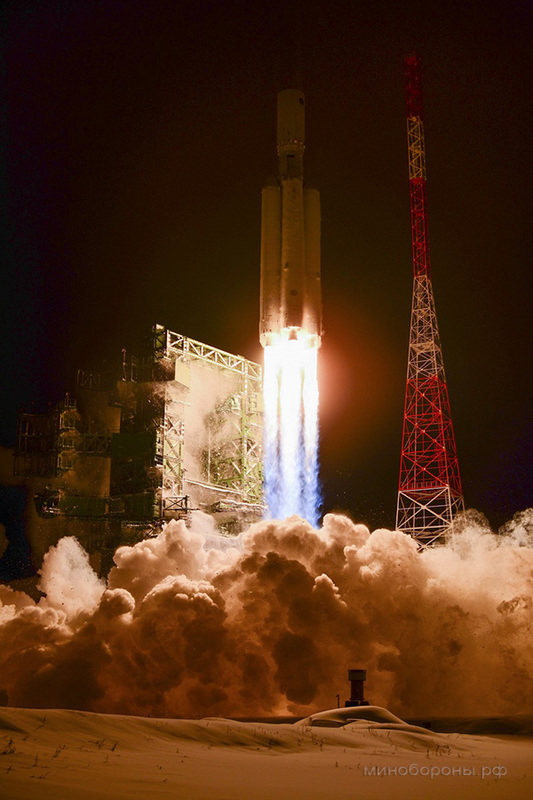 It will compete with Europe’s Vega and India’s PSLV rockets while the Angara A5 will find a fierce competition in the GEO launch market facing the SpaceX Falcon 9, United Launch Alliance’s future Vulcan rocket and Europe’s Ariane 6. Angara A5 will not be available for commercial missions outside Russia until at least 2025, though its next launch is currently penciled in for 2017 with the AngoSat spacecraft. The 1.2 version is also expected to fly again in 2017 or 2018 with a payload that has yet to be revealed. 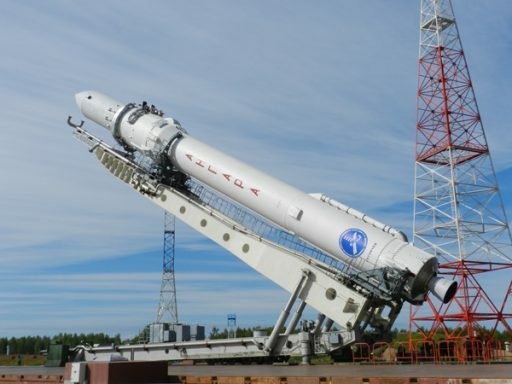 With Angara A5 not expected to fly for ILS for at least another nine years, the company will be stuck with Proton and its recent string of problems, encountering launch failures and close calls on a yearly basis for the past several years. On its most recent launch with the Intelsat 31 satellite, Proton experienced an issue with its second stage, specifically the premature shutdown of one of the four engines powering the stage. With one engine shutting down nine seconds before the scheduled cutoff time, Proton delivered the upper composite consisting of the Briz-M upper stage and Intelsat 31 satellite 28.2 meters per second short of the intended injection speed. The velocity shortfall was made up during the first burn of the Briz-M upper stage as the vehicle automatically extended the firing of its 2,000 Kilogram-force engine by nearly 33 seconds. This burn extension consumed around 200 Kilograms of additional propellant, but did not impact the success of the mission as sufficient margin existed for the delivery of the 6,450-Kilogram satellite. 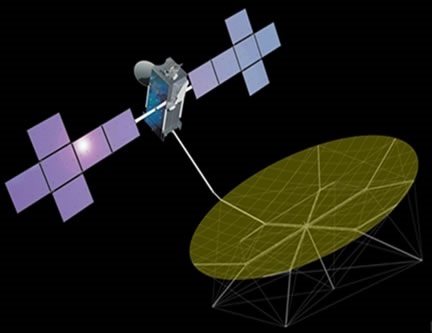 Proton’s next commercial mission, lifting the EchoStar 21 satellite, will require more performance from the rocket and its upper stage since the spacecraft weighs in at nearly seven metric tons, making it one of the heaviest commercial communications satellites ever launched. To provide additional time for an investigation into the second stage engine issue, the launch of EchoStar 21 was pushed from a late August target to No Earlier Than October 10. EchoStar 21, built by Space Systems Loral, hosts a large unfurlable antenna fed by an S-Band payload to deliver hundreds of spotbeams for Internet and telephone services in Europe. Formerly known as TerreStar 2, the satellite remains in storage at SS/L for delivery to Baikonur in the weeks leading up to liftoff to receive a full propellant load and meet its Proton-M rocket. No information on what may have caused the premature engine shutdown on Proton’s most recent mission has been shared with the public. Only three more Proton launches are on the schedule for 2016 in what is one of the slowest years for the launcher due to its recent reliability issues. The pace of commercial missions is expected to pick up in the coming years as both Intelsat and Eutelsat have signed Multi-Launch Agreements with ILS. Russian government missions on Proton will also continue at a steady pace until Angara A5 is flying on an operational schedule. 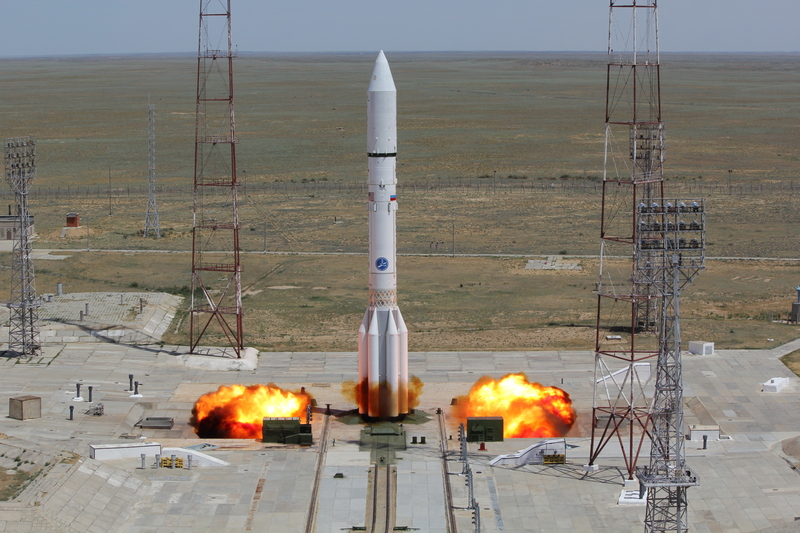 For the remainder of 2016, Proton is expected to lift EchoStar 21, the first Blagovest communications satellite for Russian domestic services, and a trio of Glonass-M navigation satellites. Proton’s schedule for 2017 includes close to ten missions including the launch of the MLM Nauka module to be attached to the International Space Station as a Russian laboratory and crew habitation module.